You are here: Home 2012 June Wireless Network: How to Configure Wireless Security? Wireless security is the prevention of unauthorized access or damage to computers using wireless networks. The most common types of wireless security are Wired Equivalent Privacy (WEP) and Wi-Fi Protected Access (WPA). WEP is one of the least secure forms of security. A network that is secured with WEP has been cracked in 3 minutes by the FBI. WEP is an old IEEE 802.11 standard from 1999 which was outdated in 2003 by WPA or Wi-Fi Protected Access. WPA was a quick alternative to improve security over WEP. The current standard is WPA2; some hardware cannot support WPA2 without firmware upgrade or replacement. WPA2 uses an encryption device which encrypts the network with a 256 bit key; the longer key length improves security over WEP. You can limit coverage area with an access point by using the proper antenna for the coverage needs. This prevents our wireless signals from emitting beyond your coverage area. Unfortunately, with the proper antenna in place on the receiver side, this method is easily defeated. An individual or group who has enough interest and funding to buy better equipment is the limiting factor here. You can also limit access to services by having proper authentication and authorization services in place that are required before wireless system access is permitted. This requires configuration of authentication services on your wireless devices which should include encryption in the transport. Some devices allow you to disable “SSID Broadcast”. Although this helps to limit who might see which networks are available to attack, knowledgeable attackers do not rely on SSID values to attack systems. SSID values can also be determined if an attacker is using a network sniffer with wireless capabilities. Disabling SSID broadcast also makes it more difficult for the intended users of the wireless network to configure and connect to the wireless network. This is considered to be a “security through obscurity” technique. There are a few common encryption technologies used in wireless infrastructures today. WEP is usually found in 64bit, 128bit, and 256bit implementations. WEP has been found to be weak cryptographically, and should not be used for any wireless infrastructure you would like to have secured. Choosing a good passphrase or password does not increase the level of security offered by WEP. WPA is based on WEP, but the WPA algorithm changes the effective key more often. WPA is still weak cryptographically, so choosing a passphrase or password of 20 characters or more is important to keep your wireless network secure. If you use a good passphrase with WPA is it believed that attacks are impractical? WPA2 uses new encryption technologies called AES or TKIP which are not based on WEP. WPA2 is the preferred encryption technology if it is available. As of March 13, 2006, all equipment using the WiFi trademark must be certified for WPA2. Devices that support WPA2 mixed mode allow clients using both AES and WEP configurations to interoperate. This does not include broadcast and multicast traffic. Encryption requires a key exchange for the algorithms to have a common starting point. 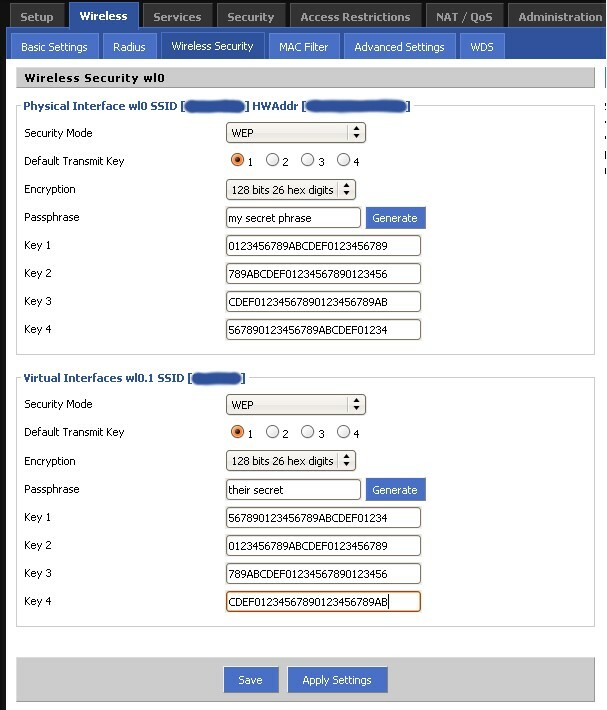 Wireless devices usually provide two methods for key exchange, pre-shared keys (PSK or password), and enterprise (RADIUS). For individuals and small businesses it is better to use a pre-shared key mechanism. For environments it will have many different wireless access devices, enterprise is generally a better choice. Pre-shared keys – A pre-shared key is just a password or passphrase you configure on all of your wireless devices and clients so they can initiate communication. Selecting a good password is imperative in providing the proper level of security for your wireless network. Enterprise – Enterprise key exchange is usually provided by a RADIUS service. Both systems connect to the RADIUS system for the initial key exchange. This method makes it easier to manage more wireless devices and clients with less effort. Some systems will not pass traffic from connected systems until the user authenticates with the wireless device. The authentication details may be stored in a table locally on the wireless device, or they may be checked remotely from the device using the RADIUS protocol, TACACS, or some other remote authentication technology. Soft-tokens is a software package installed on client systems that interact with the authentication and authorization software on the wireless device to validate users. 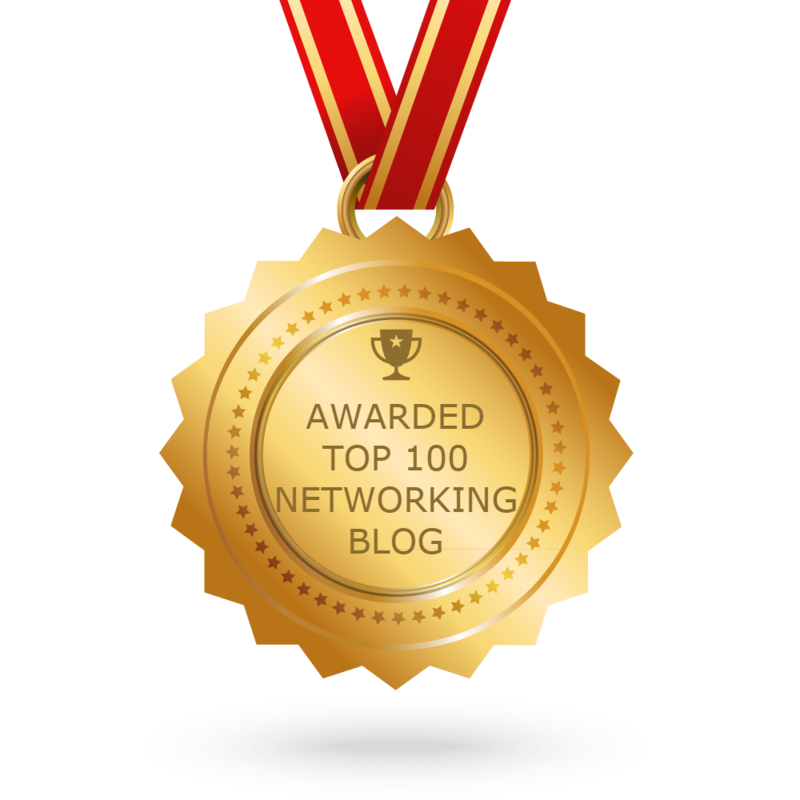 Certificates are special files installed on the client machine that must properly match up with certificate information on the wireless device to validate a wireless network client. Hard-tokens are small computing devices that use a challenge-response mechanism with the wireless device to validate a user or wireless network client. A Fob is a piece of hardware you can attach and detach from a client system that provides credentials to the wireless device for client validation. To sum up, you should use WPA2, then WPA, and then WEP in that order, for your wireless encryption if you have a choice. Setting up WEP is better than having a completely open wireless network. For key exchange use pre-shared keys if you don’t many wireless devices to manage, or set up a RADIUS server for that function if you have lots of devices to manage. You can disable SSID Broadcast, and use MAC filtering, but don’t rely on them solely to secure your wireless network. How to Set up WEP, WPA or WPA2 Personal Wireless Security on a Linksys Wireless Router?